Don’t let this National Preparedness Month go by without investing a little time to ensure your brewery’s business continuity, even in the face of disaster. An equipment breakdown could cause big trouble for your production schedule. Try making an operations flowchart to pinpoint the bottlenecks in your production lines. As you do this, keep your eyes open for what it tells you about vital preventive maintenance for your equipment, and which spare parts you should keep on hand to control the expense of interruption to your brewing production. Don’t stop there: create a business continuity program for all phases of your operation. We’re talking everything from your computers (and data backup), to your brewhouse, to your cooler. Make a list (including addresses and phone numbers) of maintenance companies and machinery suppliers. Think of the worst case scenario. If you had to close your brewery temporarily, where would you operate? What if you had to move to new premises for a longer period of time? Create a list of industrial building rental companies, new and used equipment suppliers, and contract brewers. Of course you hope you’ll never need to use it! But if you find your brewery in a difficult situation, a list like this could really simplify the steps you need to take to get back on track. Consider the natural and man-made hazards facing your area. 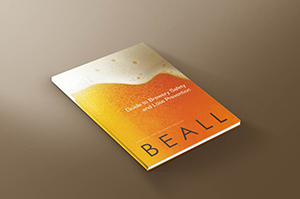 Are there any steps you need to take to protect your brewery from incidents like wildfire, earthquake, or flood? Do you know how to reach your employees and suppliers in an emergency situation? If a situation occurs that requires the evacuation of the brewery, are your staff trained in the evacuation process? Have you established a safe meeting place? All these steps are vital to helping your brewery recover from even the worst situations. 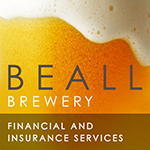 But perhaps most important is reviewing your brewery insurance package. Remember, damage due to flood or earthquake is not covered under most standard commercial property policies. And flood insurance takes 30 days to go into effect. If you’re concerned that your brewer is at risk of these types of disasters, take action now. And confirm that your insurance coverage includes the business interruption protection you need. It covers profits the business would have earned (based on financial records) had the disaster not occurred; operating expenses, such as electricity, that may accrue even if the main business activities are temporarily suspended; and it may even cover expenses incurred from operating out of a temporary location while the original premises are being repaired. Don’t wait until disaster strikes to realize you haven’t taken action—or confirmed you have the protection you need to recover swiftly. Make good use of this National Preparedness Month to protect your brewery—and its future.